The #76 R. Scullion. Photo courtesy of Magnum Cars. 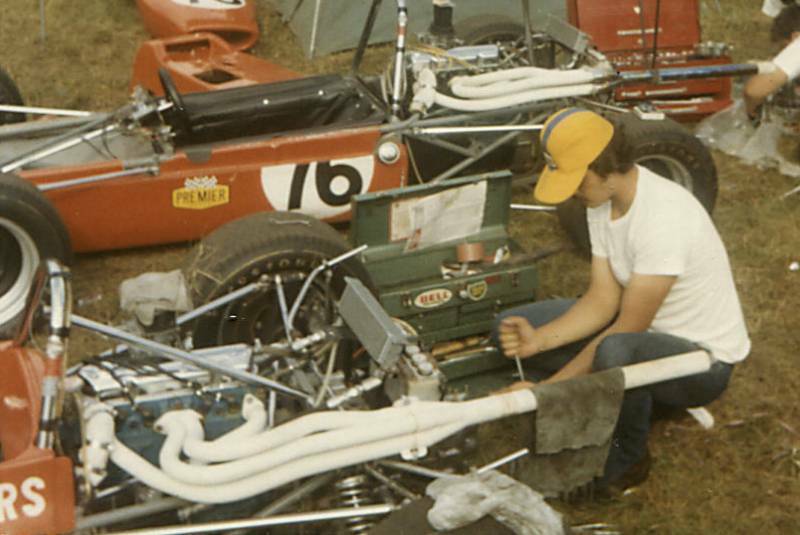 Magnum Cars crew working at the race track. Photo courtesy of Magnum Cars. 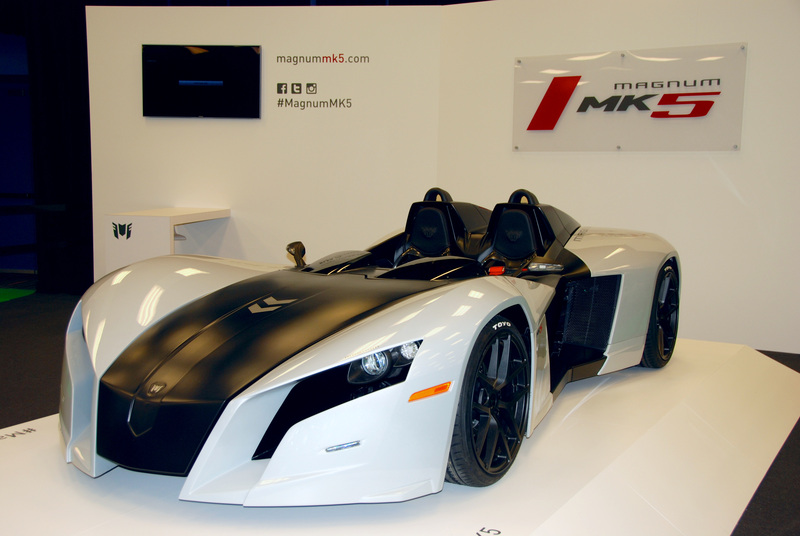 The Magnum MK5 at the Montreal International Auto Show. Photo by Mark Hacking. 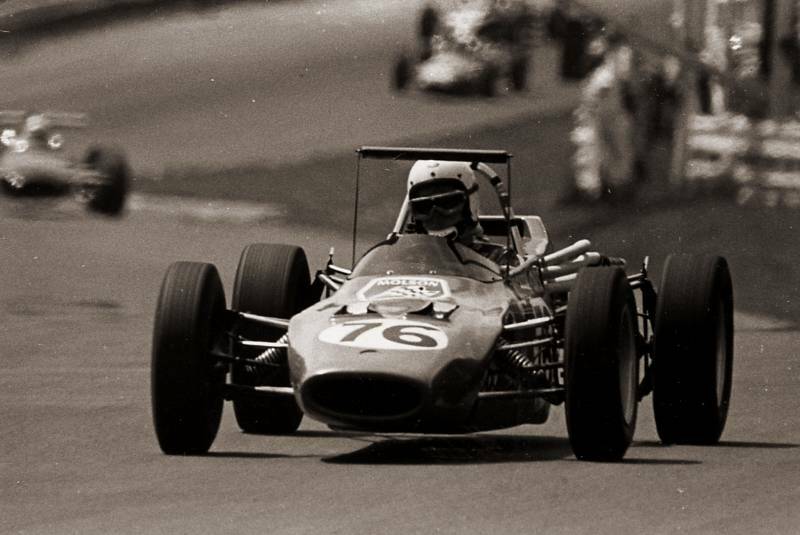 Magnum Cars’ first racer in 1968. Photo courtesy of Magnum Cars. Magnum Cars fabrication shop. Photo courtesy of Magnum Cars. MkIV in Mont-Tremblant, 1988. Photo courtesy of Magnum Cars. Jean-Pierre St-Jacques in the victory circle. Photo courtesy of Magnum Cars. From race cars to supercars. The track car is a curious animal because it’s really not intended for everyday commuting, although many can be licensed for the open road. It consists of little more than an ultra-lightweight chassis, a small-displacement engine, and one or two seats. Don’t bother looking for amenities such as climate control or navigation systems in a car like the Ariel Atom because it’s designed for one thing alone—budget-minded speed. At the other end of the high-performance sliding scale is the exotic supercar, the type of vehicle offered by the likes of Ferrari, Porsche, and Lamborghini. These deliver race car–like levels of performance combined with top-flight luxury features, but they cost a small fortune. Nestled right in between these two extremes is the new Magnum MK5, an open-top supercar that’s designed, engineered, and built in Quebec. While the name Magnum is new to the road car segment, the company has been building race cars since 1968 when founder Jean-Pierre St-Jacques started wrenching in his father’s woodworking shed. 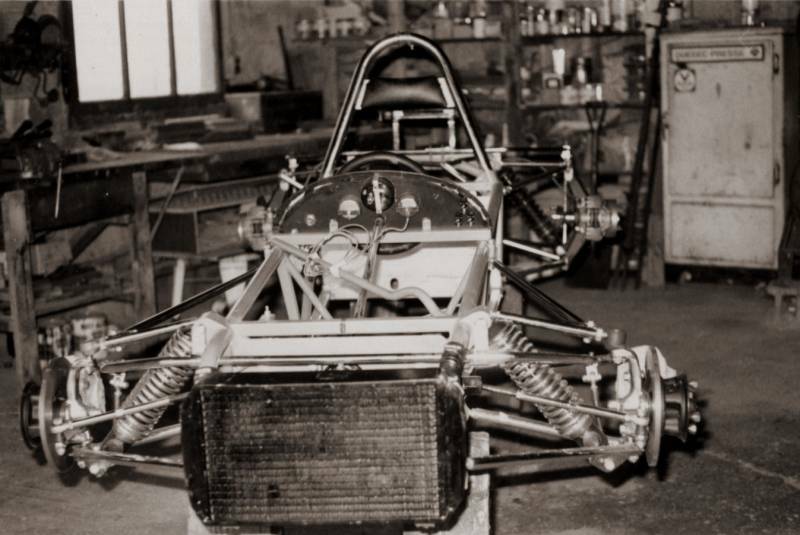 Two years later, the Magnum name was used for the first time and, three years after that, Gilles Villeneuve commissioned St-Jacques to build a Magnum MkIII Formula Ford car. That same year, the future F1 star won the championship with that car; today, it’s on display in the Musée Gilles-Villeneuve in Berthierville, Quebec. 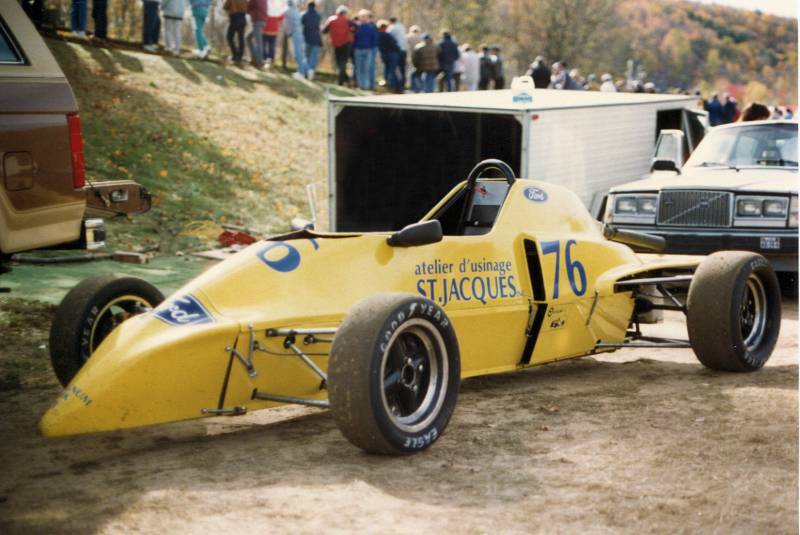 In 1988, St-Jacques designed and built his last Formula Ford race car, the Magnum MkIV, and then turned his attention to fabrication projects and preparing other manufacturers’ cars for competition. 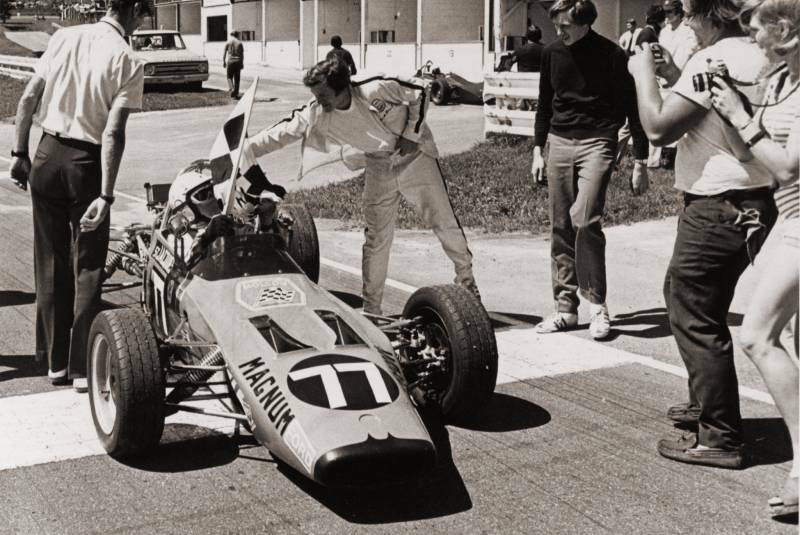 His influence extended to various professional series including F1; the Magnum team was called in to help the likes of teams Lotus and Williams during their annual visits to the Circuit Gilles Villeneuve for the Canadian Grand Prix. Now, more than 15 years after the Magnum MkIV, we have the MK5—but it’s a different beast altogether. Spearheaded by St-Jacques and his son, Bruno, the Magnum MK5 is a supercar that promises class-leading performance blended with serious style and no small amount of exclusivity. Under the skin, the MK5 boasts the four-cylinder engine from the Suzuki Hayabusa and a sequential six-speed transmission. The engine is tuned to produce 250 horsepower and rev to a stratospheric 11,000 rpm. The car is expected to hit 100 km/h from a standing start in just 3.2 seconds and deliver a top speed of 240 km/h. The car’s lightweight construction is the secret to its performance; it weighs just 545 kilograms, close to 1,000 kilograms less than a Ferrari 458 Italia. This enables the Magnum to accelerate strongly, of course, but it also gives the car an even more surprising trait: the reported ability to generate 2 G in cornering forces. A very good sports car will be around the 1 G mark, so the prospect of a car capable of doubling that number should prove very appealing. The Magnum MK5 had its Canadian debut at the 2015 Montreal International Auto Show, on until Sunday, January 25 at the Palais des Congrès. During the first media day on January 15, the younger St-Jacques was absolutely blitzed by television crews, newspaper reporters, and interested onlookers. “We wanted to build a car that excites all the senses,” St-Jacques says. 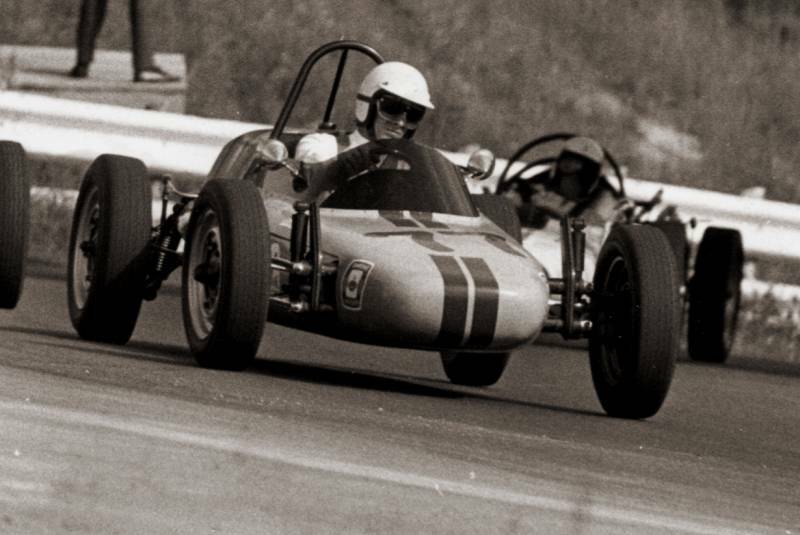 “The sound of the engine, the dynamics of the car, and the quick shifting of the sequential transmission—it’s as close to experiencing a real race car as possible. We’re very happy with the car and we’re very happy with the response so far.” The Magnum MK5 can be pre-ordered and is expected to cost about $139,000 (U.S.); production numbers are limited to 10 cars this first year, and up to 30 per year after.